The Law Offices of Michael Camporeale P.C. is one of the top law firms in Brooklyn NY. 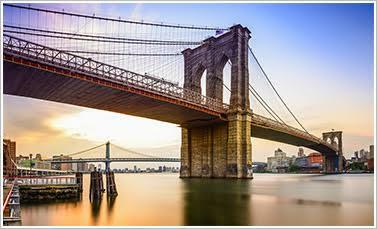 We have highly experienced and well versed Brooklyn elder law lawyers and elder law attorneys from the Brooklyn Law Offices of Michael Camporeale serve the entire borough of Brooklyn and Kings County New York, including, but not limited to, Bay Ridge, Brighton Beach, Gravesend, Park Slope, Carroll Gardens, Ocean Parkway, Midwood, Brooklyn Heights, downtown Brooklyn, Crown Heights, Bath Beach, Borough Park, Dyker Heights, Sunset Park, Sheepshead Bay, Sea Gate, Homecrest, Marine Park, Mill Basin, Williamsburg and Manhattan Beach. We can assist with all of your Brooklyn elder law lawyer needs, estates, estate planning lawyers in Brooklyn, asset protection from nursing homes, and our Brooklyn medicaid office New York provide services of Medicaid planning throughout Brooklyn and Kings County. Our experienced team of elder law lawyers and Brooklyn attorneys, Estate Planning Attorney Brooklyn NY, Elder Law Attorney Brooklyn NY, Estate Planning Lawyer Brooklyn NY, Elder Law Lawyers. We offer Free Initial Consultation to all prospective clients who can call us at (718) 475-9639 to schedule a FREE telephonic session. You can contact our experienced real estate lawyer in Brooklyn NY to get the best advice and save your precious time. Instead of getting all the stress of court procedures by yourself you can hire a professional real estate attorney in Brooklyn to help you. As Elder Law attorneys, we are dedicated to helping the elderly of Brooklyn and their families take a proactive approach to protecting and preserving family assets in Brooklyn, New York. We take a personal approach to your family and its legal needs by bringing it peace of mind with the appropriate asset protection plan. Our elder law attorneys and lawyers understand the local laws in Brooklyn and Kings County and they have helped and represented numerous clients over the years. Call (718) 475-9639 to schedule a FREE telephonic session with our elder law lawyers, guardianship attorney Brooklyn NY and Brooklyn estate attorney at The Law Offices of Michael Camporeale, P.C. Did you know that the average cost of a nursing home is over $100,000, a year and that you are expected to pay for that care out of your private assets including your home. Beware of the five year look back penalty period. before it is too late so that we can develop an appropriate New York elder law plan so that we can protect your family’s assets from the catastrophic costs associated with nursing home care and get you qualified for Medicaid. We can put a plan in place that can provide for a Medicaid Asset Protection Trust, a Power of Attorney, a Health Care Proxy, and all of your other estate planning needs so that you and your family are protected and have the proper legal documents and tools in place to help you before you become ill or incapacitated and have to you use your own private assets to pay for your care. We have been successfully protecting family assets and getting clients qualified for Medicaid for well over a decade throughout, Kings County, Bronx County, Westchester County, Nassau County, Suffolk County, Richmond County, Queens County, and New York County. Our experienced Brooklyn probate attorney will represent strong representation of your probate case. We are also dealing in wills and trust cases as we have expert wills lawyers in Brooklyn. Call today for a free consultation (718) 475-9639 to talk to the elder law attorneys in Brooklyn, New York.